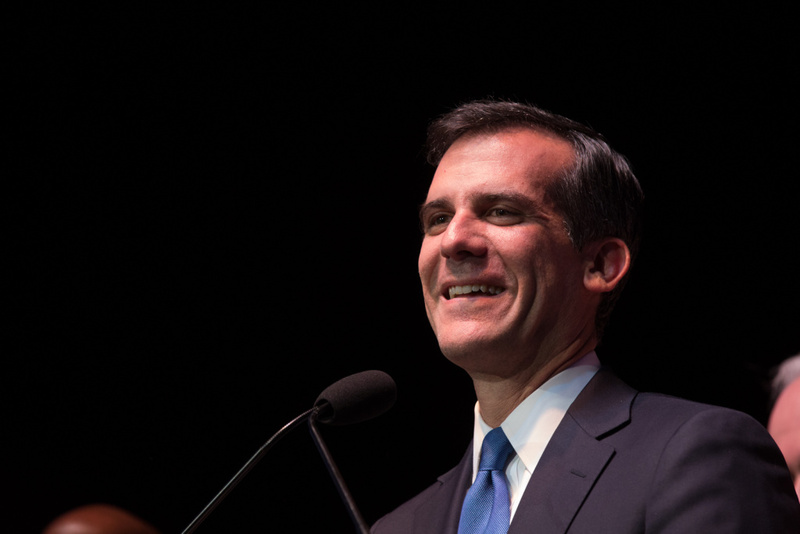 Eric Garcetti delivers a speech on May 21, 2013. Los Angeles Mayor-elect Eric Garcetti takes will be sworn in on Sunday, and KPCC journalists want to hear from you. What is the issue that matters most to you? Scroll down to share your insights and concerns with KPCC journalists. And we'll present some concerns to the candidates between now and the run-off election. We read every response, and nothing is published or shared without your permission. Tweet the following fill-in-the-blank: "#DearMayor, please improve _________" or tweet a photo or Vine video of a sign with your thoughts and the hashtag #DearMayor. Post your image on our Facebook page. We'll highlight some of the best posts!